Our last few weeks in Virginia were hectic--we moved out of our house about two weeks before we actually left the area, so we stayed under many different roofs and kept ourselves busy with many different activities. 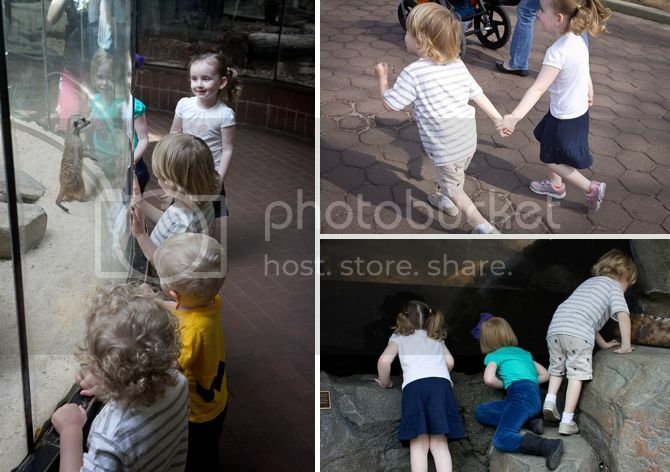 Our last Monday was WARM--so my friends and I packed up our kiddos and headed to the zoo. We were vastly outnumbered--four mamas and eight little ones. The kids had a lot of fun--I think the meerkats might have been the biggest hit. These kids are the cutest. 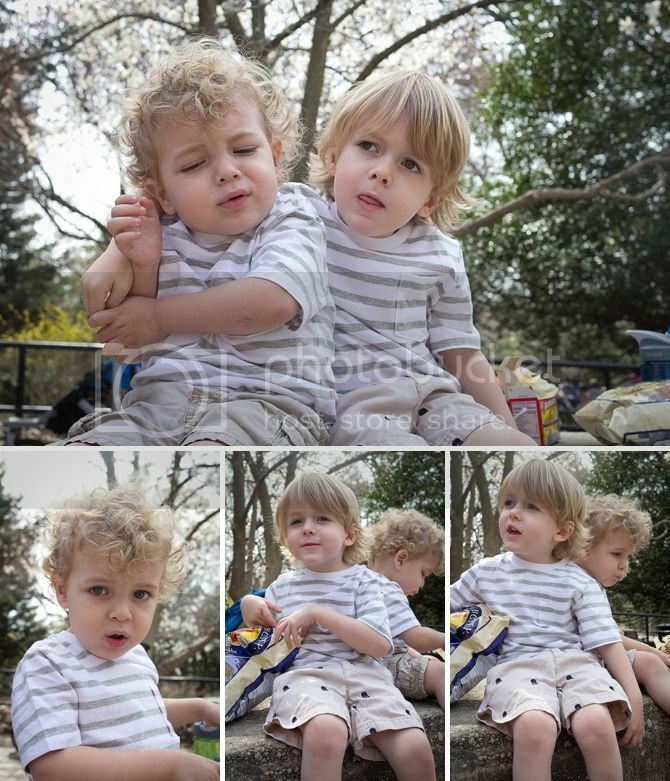 I always hope that I can get a good picture of the boys together--and it pretty much never works out. Can you feel the love here? Braden did not like Finley putting his arm around him. And here's the whole crew minus the little bitty baby who really slept the whole time and didn't make a peep. We lost zero children on the outing! Well, I lost Finley for a few minutes, but I'm not counting that. The next day we went to Clemyjontri--the coolest park in NOVA. 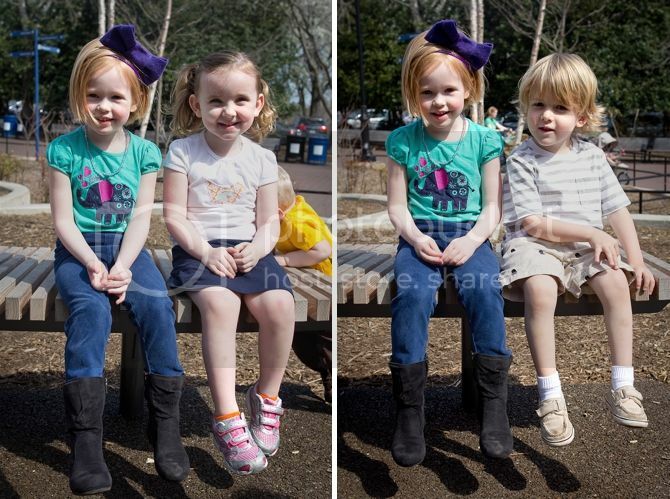 It was very sunny and I had to chase the boys A LOT--but I really wanted to get a picture of Finley with his best pals (Finley and Margaret) and of Braden with Oliver, who would be his best pal if we weren't ripping them apart. i love all those little kids! I remember when they were all born. Except Sutton. She already existed when i arrived.